More statistics on sales performance, installations, and personnel for 2016 are available here. The library technology industry has entered a new phase: business consolidation and technology innovation. Development of products and services to support the increasingly complex work of libraries remains in an ever-decreasing number of hands. Not only have technology-focused companies consolidated themselves, they have become subsumed within higher-level organizations with broad portfolios of diverse business activities. The survivors of this transformed industry now bear responsibility to deliver innovation from their amassed capacity. Modern web-based systems delivering traditional library automation and discovery capabilities are now merely table stakes. Real progress depends on building out these platforms to support the new areas of service emerging within each type of library. Library technology continues to consolidate horizontally and vertically. Horizontal consolidation—the merging of companies with similar business activities—shaped some of the larger players in the industry, such as Follett, and Infor Library and Information Solutions, Innovative Interfaces, Lucidea, OCLC, SirsiDynix, and TLC. Each has acquired at least one of its direct competitors. Bibliotheca’s acquisition of 3M Library Systems created a globally consolidated giant in the RFID and self-service sectors that is challenged only by much smaller local competitors. Vertical consolidations represent the next avenue for growth in an industry where horizontal consolidation can be considered all but complete. This strategy of joining companies with diverse products and business strategies isn’t new in the broader library sphere, but library technology firms are a recent ingredient to the mix. The top-tier companies directly or indirectly involved in library business see library technology as an additional sector that provides opportunities to increase revenue, gain access to new customers, and realize synergies with other facets of their business ecosystems. Companies offering content naturally gravitate toward discovery services with the potential to gain insights into library patrons’ search and selection processes. 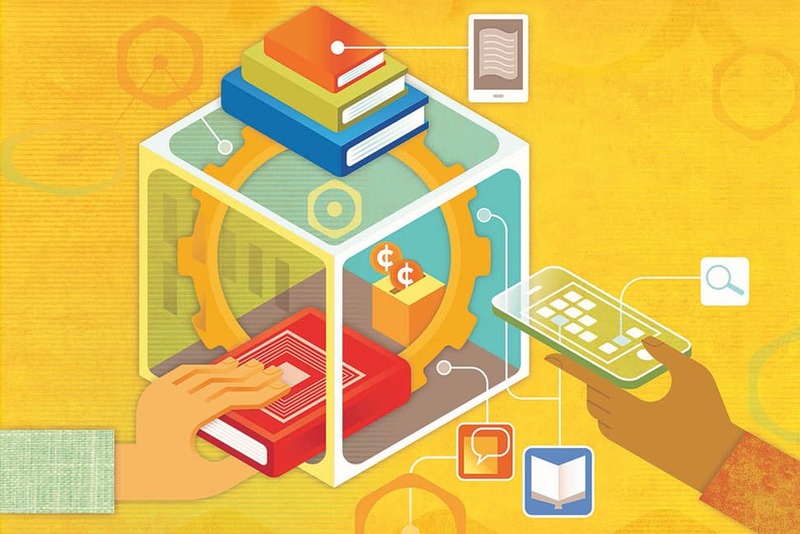 Recently, content companies have begun turning their attention to businesses offering resource management technologies, such as integrated library systems (ILS), library services platforms, and platforms for the procurement of library resources. The acquisition of Ex Libris by ProQuest in December 2015 stands as a prime example of vertical consolidation. In this case, a company known mostly for its content products has gained status as the largest provider of technology to academic libraries. EBSCO Information Services has revealed similar ambitions as it throws its weight behind the open source FOLIO project. Through this effort, EBSCO wants to support the production of a resource management ecosystem that is more open and friendly to its own discovery technologies, and also disrupt the flood of research libraries moving to the technology products of its rival ProQuest. These synergies emerged early, via ProQuest’s 2004 acquisition of Serials Solutions for its electronic resource management utilities, and continued with its acquisition of Ex Libris. Although it seems reasonable to gain insights into the backroom processes for selecting and acquiring resources, exerting control may be another matter. Almost all libraries acquire content from many different providers and are unlikely to tolerate technologies that channel them to a specific content provider. ProQuest’s ownership of OASIS as part of its acquisition of Coutts Information Services from Ingram Content Group in April 2015 and EBSCO’s acquisition of YBP Library Services and its GOBI from Baker & Taylor in February 2015 show parallel interest in gaining access to internal library acquisition processes. Follett’s acquisition of Baker & Taylor in April 2016 also falls within the vertical consolidation trend reshaping the broader library services industry. Follett is a massive family-owned company with diverse business activities, including campus bookstore management, distribution of print and electronic educational materials, library automation technology, and student information systems. Follett School Solutions dominates the K–12 school technology and content arena, at least to the same extent that Ex Libris does in higher education. Prior to the acquisition, Follett’s business activities already involved content, resource acquisition, and technology, but the balance jumps toward content with this latest move. Follett acquired Baker & Taylor from Castle Harlan for an undisclosed sum. This move provides additional diversification and opportunities to gain new synergies among its existing content distribution and resource management and discovery technologies. As one of the major distributors of books and media products to public libraries and as a supplier to retail outlets, Baker & Taylor significantly expands the scope of Follett’s reach, not only into public libraries but also into the nonlibrary retail sector. As a result of the acquisition, Follett expects to see its revenues jump from $2.6 billion to around $3.6 billion. George F. Coe was recently appointed chief operating officer for Follett and its Baker & Taylor subsidiary. Prior to the acquisition, Coe was president and CEO of Baker & Taylor. Many of the same synergies can be seen in play with Follett in the K–12 school sector as ProQuest and EBSCO navigate into the higher educational sector. Its Destiny ILS holds the dominant market share among K–12 schools in the United States, with most implementations at the district level. Many also use Destiny for the management of textbooks and other assets. Newly rebranded, Destiny Discover enables students to search and access a library’s print collections and available electronic resources. Follett’s Titlewave platform enables librarians to acquire print and electronic resources from the company’s broad catalog of content offerings with integrated collection analysis capabilities. This combination of products encompasses library resource management, discovery, and content acquisition. This year saw the launch of FOLIO as a new initiative to create an open source library services platform that differs substantially in vision and technical architecture from established products like Alma and WorldShare Management Services. FOLIO embraces a highly modular approach in which specialized apps can be developed independently, yet collectively form a cohesive platform. This modular approach is designed to facilitate distributed development, a process in which disparate organizations or individuals can create apps that address specific areas of functionality rather than concentrating development within a single company. The design of FOLIO lends itself to the separation of resource management from discovery and contrasts the more tightly bundled arrangements associated with the existing library services platforms. EBSCO lends substantial support to the FOLIO initiative, which it helped launch in late 2015 but which was not formally announced until April 2016. EBSCO has provided financial support, engaged Index Data to lead the development of the initial release of the underlying microservices framework, and offered educational events globally to spark interest in the initiative. The Open Library Environment, which had previously worked to create its own open source library services platform, has changed course to build community engagement for FOLIO. Involvement with FOLIO is a bold move for EBSCO, as it contributes substantial energy and resources to an open source product it does not own. It enjoys influence but not control. Since its launch, the project has met some key benchmarks, including the release of the initial codebase for developers in August 2016 and the establishment of the Open Library Foundation as the governance organization for FOLIO and other open source communities. EBSCO reports that six vendors and 15 libraries are actively working on development, and 2,100 individuals have registered interest in the project. This nascent FOLIO initiative faces formidable competition from the already maturing library services platforms offered by Ex Libris and OCLC. Both Alma and WorldShare Management Services have been in production since 2012 and now are used in more than 1,000 libraries. (Alma is in 829, while WorldShare Management Services is in 440.) Alma penetrated the apex of the academic library sector in 2016 when the Harvard and Cambridge University libraries selected it. Meanwhile, WorldShare Management Services has found a solid response among midsized academic institutions. Another battle related to openness is raging. Libraries today have little tolerance for closed technology products that hamper access to underlying data and cannot be easily integrated into related business systems. The emergence of FOLIO brings to light a fundamental difference in the understanding of what it means for library systems to be open. A key issue is whether products must be released as open source to achieve the levels of flexibility expected, or if proprietary systems can deliver extensibility and interoperability though APIs. Even more important, can development distributed within the library community produce new innovations beyond the current slate of products? The proprietary camp builds products based on software it controls exclusively. These systems do not offer access to the software’s source code. Instead, they can create APIs to enable programmatic access to the data and functionality of the application. Ex Libris, OCLC, SirsiDynix, and Innovative are examples of companies that cast their systems as open by providing robust APIs, but they do not release the source code. Ex Libris touts the success of this approach. It reports that its global Alma platform saw more than 479 million API calls in 2016, which represented 51% of total transactions and now exceeds those performed through its user interfaces. Open source products allow anyone to access, modify, and redistribute the source code of an application, enabling cooperative and distributed development across many organizations. This approach relies on a business model based on fees for services rather than for the software itself. Open source software is well established as a main branch of the library technology industry. Products like DSpace, Fedora, and Hydra dominate the institutional repository arena. In the ILS arena, open source products represent a sizable portion of overall installations. A variety of companies provide services that enable libraries to use these products with no more technical personnel than would be needed for a proprietary system. Both Koha and Evergreen benefit from distributed collaborative development where no single organization claims exclusive control of the product. FOLIO aims to bring this distributed approach to the library services platform scene. Although Index Data has been engaged to create the initial framework, the longer-term success of FOLIO will depend on other organizations joining the collaboration to enhance or create new modules. FOLIO remains in the development phase, with no complete software for libraries to implement. Whether this project will eventually make an impact on the library services platform arena currently dominated by Ex Libris remains to be seen. Another set of global companies seeks synergies between public libraries and other services of local government. One such company, Capita, which provides technology solutions to local government services, acquired Alto from Talis in 2010. The global IT services firm Infor acquired the remnants of the library automation pioneer Geac and now develops and supports its V-smart system and other library products as part of its division focused on technology for the public sector. Civica Library Solutions, a large IT services firm active in multiple global regions and dozens of business sectors, also operates a unit on education and libraries responsible for Spydus. Capita, which supplies a variety of technology products and services for the public sector and academic institutions in the United Kingdom, offers the Alto library management system, branded as Chorus, for those interested in a fully hosted solution. This year three libraries, including a 25-branch system, selected Alto, bringing total installations to 79. Capita has enhanced its patron interface, now branded as Full Library Discovery, to encompass a comprehensive representation of content available from each library into search results. Civica offers Spydus, which has been implemented by libraries in many global regions, especially in Asia, Australia, New Zealand, and the United Kingdom. In recent years, Civica has developed Spydus 9 and, more recently, Spydus 10 as major upgrades to its platform. The company reports that more than 90% of its customers in Australia and New Zealand have moved to the new versions of Spydus. A recent reorganization joined the previously separate library and education business units. Civica launched a new business intelligence suite for Spydus in late 2016. Infor, active primarily in Europe and Canada, develops and supports the V-smart ILS and related products. With revenue reported in the range of $1 million to $2.5 million, Infor is a 66-employee division of a global IT services company with 15,000 employees and 90,000 customers active in a diverse set of business sectors. In 2016, Infor completed the initial release of V-smart, a mobile catalog app for Apple, Android, and Microsoft smartphones, and V-smart Air, a new fully responsive patron interface for the V-smart ILS. Open V-insight, a utility for incorporating external data sources into the V-insight analytics application, and a new Iguana digital asset management for managing digital collections are both available as beta releases. This year, 24 organizations signed contracts for V-smart, increasing the total installations to 342. Iguana saw five new contracts, achieving total sales to 492 libraries. OCLC announced in January 2017 its intent to acquire Relais International, a Canadian company focused on resource-sharing technologies. This acquisition brings into its fold Relais D2D (discovery to delivery), a resource-sharing application created to support peer-to-peer borrowing, primarily among members of a consortium. Many consortia have implemented this type of product to satisfy requests for resources not held by a local library that are available in the collection of another member. These consortial borrowing systems can reduce costs and result in faster fulfillment than using a global interlibrary loan service such as OCLC’s WorldShare Interlibrary Loan. The acquisition of Relais International strengthens OCLC’s position in the resource-sharing arena to include distributed as well as centralized services. Axiell has followed an incremental strategy for business expansion and diversification. Its initial phase focused on the merger of companies providing library automation products in Scandinavia and the UK. Subsequent phases have branched out to companies involved with technologies for museums and archives, ebook and digital content distribution, and public records management. Axiell has made a string of acquisitions. In October 2016, it announced that it acquired BiBer, a supplier of automation systems to libraries in Germany and Switzerland. It also purchased the vital records division of Gold Systems and Mobydoc, a provider of museum collections management systems, to strengthen its museums and archives business. SirsiDynix and Innovative Interfaces hold similar places within the library technology industry. Both are large consolidated companies that have acquired multiple antecedent ILS companies. These two remain focused on technology products for libraries and, unlike ProQuest and EBSCO, are not deeply involved in content and related services. Unlike Ex Libris, neither specializes in a single type of library. Both SirsiDynix and Innovative serve public, academic, and special libraries. Once considered the largest companies in the industry, they seem midsized in the current industry context, each with less than half the workforce of Ex Libris. SirsiDynix had strong sales, made progress on building out its BLUEcloud suite of web-based applications, and further strengthened its hosting services. It continues supporting its two longstanding integrated library systems, Horizon and Symphony, as it develops a new suite of applications based on its multitenant BLUEcloud platform. This strategy enables libraries to continue to use their Symphony or Horizon ILS while deploying new web-based interfaces for selected modules, thus avoiding the need to migrate their data. New sales this year included BLUEcloud applications bundled with Symphony. BLUEcloud Circulation was initially released in January 2017. SirsiDynix anticipates that BLUEcloud Acquisitions, developed in partnership with the South Australian Public Library Network, will be completed in 2017, following its alpha release in October 2016. SirsiDynix recently entered into a partnership with Glasgow, Scotland–based SOLUS to develop a new BLUEcloud Mobile app, that will supersede the BookMyne mobile catalog. SirsiDynix reported a strong sales year with 142 contracts signed for Symphony, bringing total installations to 2,573. Additionally, the company made 31 sales for EOS.Web in the special library sector. The public libraries in Wales selected Symphony to support a nationwide unified library management system. SirsiDynix continues to emphasize the deployment of its products via its hosting services, which now encompass more than 2,000 customers. Innovative Interfaces has entered a new chapter of its business development. In early 2016, it named James Tallman CEO following the departure of Kim Massana in August 2015 and interim leadership by Bert Winemiller. A new set of executives joined the existing leadership team to reshape the company into an “enterprise-class library solutions company” with ambitious product development and business strategies. Innovative has been under the ownership of Huntsman Gay Global Capital and JMI Equity since August 2012. Innovative set industry sales records in 2011, the first year it launched Sierra. Following that initial surge of 206 contracts for Sierra, sales leveled off in the 120 range for the next three years. After 90 contracts in 2015, Sierra had only 82 contracts in 2016. These figures still represent solid performance. 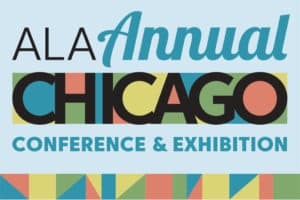 Chicago Public Library’s selection of Polaris reinforces the ongoing appeal of this ILS for large municipal libraries. On the development front, Innovative released Sierra version 3.0, including enhancements like additional APIs with create, read, update, and delete capabilities. Enhanced functionality for placing holds through the API now supports requests at the bibliographic or item level independent of the configuration set in Sierra. The company continues development of applications delivered through its new Open Library Stack environment. In addition to its new knowledge base platform, Innovative also created a new application on its cloud infrastructure to enable libraries using Polaris to directly participate in an INN-Reach consortial borrowing network. The 82 new contracts for Sierra in 2016 increased total installations to 665. Polaris saw 16 new sales, increasing total installations to 501. After having five sales and three sales in 2014 and 2015, respectively, Virtua had no new sales in 2016. Its 216 installations in 2016 was a sharp decline from the 369 reported the previous year. Installations of Millennium fell from the 1,060 reported in 2015 to 506, reflecting the rapid movement of libraries to Sierra and competing products. Expanding its global service coverage, the company launched a new facility in Melbourne, Australia, which it characterized as a “Competency Center” offering product development, support, training, and consulting for its customers in that region. Despite the consolidation, some midsized and small companies have so far managed to stave off acquisition. These standalone companies can focus more on development and customer support within narrower product categories or geographic areas. TLC remains one of the few companies founded in the pioneering days of library automation that is still owned and managed by its founder. Apart from its acquisition of the Carl ILS in 2000, the company has stayed away from the churn of mergers. Equinox Software provides development and support services for open source software. Founded in 2007 as a for-profit company, the company began transitioning to nonprofit status in December 2016 and now operates as Equinox Open Library Initiative. The new organization is assuming all the assets from its for-profit days, including customer support contracts. Although most of the organization’s activities relate to the development and support of Evergreen, an open source ILS designed for consortia comprising public libraries, it also supports Koha for libraries automating independently. Equinox also developed and offers support services for the open source FulfILLment interlibrary loan system. Sequoia, a private cloud-based platform, provides the strategic technical infrastructure for the organization’s hosting services across all its products. Equinox also provides support for self-hosted implementations of Evergreen and Koha, but it reports that many of these are shifting to its Sequoia-based hosting services. In 2016, Equinox signed 13 new support contracts (representing 26 libraries) for Evergreen. Of all the libraries currently using Evergreen, 896 now receive support from Equinox. Two new libraries selected Evergreen for Koha support. Equinox provides support for the implementation of FulfILLment for the Bibliomation consortium in Connecticut. ByWater Solutions provides support services for Koha. In 2016, the company signed 70 support contracts, more than in any previous year, reaching a total of 949 supported libraries. Most of its customers are public libraries (684), but small academics (103) and K–12 schools (97) are also well represented. ByWater reports more than 40 institutions use Klassmates, its program that provides free access to Koha for library-school students. ByWater Solutions actively contributes to global community development of Koha and benefits from the new features. The most recent version included contributions from 17 libraries and 37 companies. Recent advances include the option to use Elasticsearch as the search engine, a new set of RESTful APIs, improved handling of holds, and the addition of EDI support in its acquisitions module. PTFS Europe provides support services for Koha and to libraries in Europe. The company also developed and supports rebus:list, an application for managing reading lists for academic courses. This year PTFS added 12 new customers, increasing its total to 78 libraries. TIND Technologies was recently formed as a spin-off out of the CERN research organization in Switzerland. Developers at CERN created Invenio as an open source library management system for its library. TIND Technologies provides support services for this software to libraries outside of CERN, branded as the TIND ILS. TIND has been awarded eight contracts for support of the TIND ILS and another 11 for the TIND Institutional Repository. The California Institute of Technology was an early adopter of the TIND ILS, and it will partner with the company to enhance its functionality for electronic resource management. Subsequently, Olin College selected the TIND ILS, giving the company an additional reference site as it seeks to expand into the US academic library sector. Tapping into a major trend in academic and research libraries, TIND recently created a platform for the management of research data, with an initial implementation at Cal Tech. Ex Libris led the industry in sales with 132 contracts for Alma, representing 203 libraries. Harvard University and Cambridge University, each with around 100 individual facilities, are counted only as a single library. The increases in year-to-year sales for Alma are impressive (132 in 2016; 88 in 2015; 43 in 2014; 31 in 2013; 17 in 2012). Ex Libris also had strong sales for its products in other product categories. SirsiDynix led in ILS sales with 142 contracts signed for Symphony. Total earnings were boosted by additional sales of BLUEcloud components, both as part of bundles to new clients and as inside sales to existing clients. Though at a lower level of economic impact, Biblionix made 65 new sales of its Apollo ILS, primarily to small and mid-sized public libraries. Follett made new sales of Destiny to 5,192 school libraries, complemented by new and ongoing sales in many other product categories. Academic libraries, driven by their deep investments in electronic resources, are increasingly shifting to library services platforms that have the ability to manage complex, multiformat collections. Ex Libris’s Alma and OCLC’s WorldShare Management Services have both seen strong results in this area, though many academic libraries also continue to use integrated library systems in conjunction with other tools for electronic resource management and discovery. The genre of index-based discovery services, including EBSCO Discovery Service, Primo and Summon from Ex Libris, and OCLC’s WorldCat Discovery Services, are critical products for academic libraries. While these libraries need modern systems for managing and providing access to their print and electronic collections, they increasingly must respond to institutional priorities, such as providing support for research data, digital humanities, and other activities involving close collaboration with researchers. By now, this model of the library services platform seems well accepted among most academic libraries, with the number of selections and implementations increasing apace. Support for library activities beyond traditional services provides fertile ground for the next wave of technology innovation. Ex Libris, a ProQuest Company, continues to exert its dominance in the academic and research library sphere. Its entire arsenal of products is oriented to academic and research libraries, including its Alma library services platform, Primo and Summon for discovery, Aleph and Voyager as legacy ILS products, Rosetta for digital asset management, and tools for electronic resource management. With a broad customer base of more than 7,000 institutions in almost all regions of the world and an ever-deepening slate of products, Ex Libris has established itself as a formidable competitor, reporting revenues exceeding $130 million in 2016. Ex Libris has integrated OASIS, ProQuest’s interface for librarians to select and order print and electronic books, into Alma. ProQuest gained OASIS when it acquired Coutts. The business and product integration between Ex Libris and ProQuest Workflow Solutions is well under way. In 2015, prior to the acquisition, the combined workforce between Ex Libris (615) and ProQuest Workflow Solutions (255) totaled 870. By 2016, Ex Libris reported 830 total employees. Business consolidation almost always means substantial losses in personnel through redundancy. This decrease of 40 positions (4.6%) seems modest. Innovative dropped from 584 employees in 2013 to 416 the following year after it acquired VTLS and Polaris. 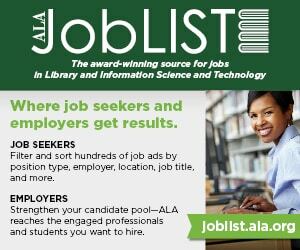 In 2016, Ex Libris signed 132 contracts (representing 203 libraries) for its Alma library services platform, bringing its total sales to 829 libraries. Sales included Harvard Library, which will migrate from Aleph, and Cambridge University, which will migrate from Voyager. Ex Libris has seen sales in Alma rise sharply every year since its launch in 2011. Of note, the University of Pennsylvania, one of the original Kuali OLE partners, recently opted to move to Alma. Ex Libris remains committed to its legacy ILS products. Aleph saw 10 sales this year, proving its ongoing appeal to libraries that still primarily deal with print collections. That said, total installations of Aleph declined in 2016 for the first time ever, down to 2,401 from the 2,412 reported last year. Voyager has had no new sales since 2012. We can anticipate that the libraries remaining on Aleph and Voyager have migration plans under way and that most, but not all, will opt for Alma. On the discovery front, Ex Libris made 138 new sales of Primo, including some à la carte implementations not paired with Alma. Summon saw 73 new sales, its lowest showing since 2010. After peaking at 718 in 2015, total installations of Summon declined to 602 in 2016. Primo Central and Summon now follow a shared data strategy in which both products continue independent development and indexes but are populated in tandem. Library patrons from the 2,591 libraries that use Summon or Primo perform 6.5 million searches daily. Ex Libris has integrated Summon as a supported patron interface for Alma. It also supports open source discovery interfaces, including Blacklight and VuFind. Ex Libris launched the Open Discovery Framework, enabling libraries to create and share their own services and extensions to Primo. The tight bundling of Alma and Primo now seems considerably loosened. With Alma well established as its flagship resource management platform, Ex Libris has ventured to create and acquire products that address needs in other aspects of the academic enterprise. Leganto, a tool launched in 2015 for instructors to manage course reading lists, has seen 29 total sales, 18 of them in 2016. CampusM, a mobile-friendly content management platform for higher education, has been adopted by 61 institutions, with 18 new sales in 2016. Ex Libris has also created a premium version (Leganto powered by SIPX) that includes capabilities for containing licensing costs and copyright management. EBSCO Information Services offers a diverse set of products spanning content, resource acquisition services, and technology. Despite not creating or acquiring its own library services platform, EBSCO has expanded into the technology arena through its software-as-a-service offerings and investment in open source projects. Key enhancements recently made to EBSCO Discovery Service include a new autocorrect feature and an extension of the user search process beyond the existing autocomplete and “did you mean” capabilities. The company has also expanded its knowledge base to include resources from over 1,600 vendors. EBSCO continues to expand the APIs for EDS to enable interoperability with external applications. The company is now working to complete the Resource Management API, which will enable it to direct customers and ILS partners to access its holdings data from its knowledge base and electronic resource management features. EBSCO currently has partnerships with 60 ILS vendors for open source projects. EBSCO has relaunched the bibliographic database and acquisitions tool acquired from YBP Library Services as GOBI Library Services from EBSCO. Though EBSCO has a well-established position as a serials subscription agent, GOBI extends its reach into library content acquisition workflows to include print and ebooks. Recent developments include significant enhancements to the bibliographic database and adding new publisher partners, especially in the health sciences. OCLC, a nonprofit library cooperative, offers a wide range of products and services, spanning library activities including cataloging, resource sharing, collection analysis, resource management, and discovery. Its membership now includes 16,964 libraries. While OCLC serves all types of libraries, its WorldShare Management Services platform has thus far been adopted primarily by academic libraries. In 2016, however, it did see more public libraries added to the mix. OCLC noted that by the fifth anniversary of WorldShare Management Services, it had been selected by 500 libraries on six continents. OCLC reported 83 contracts signed in 2016, with 440 libraries now using it in production. Some of the major sales made this year include the University of Gloucestershire in the UK, Münster University of Applied Sciences in Germany, Erasmus University Rotterdam in the Netherlands, and the statewide public library network of Northern Territory in Australia. OCLC has seen positive reception for WorldShare Management Services among midsized academic libraries, but it has had few selections by large academic libraries or consortia. OCLC continues to expand the bibliographic database underlying WorldCat, which now includes more than 380 million records. WorldCat Discovery Service, which also provides access to article-level content from electronic resources, continues to expand coverage. OCLC reports agreements with 200 information providers to supply metadata, now representing more than 2 billion individual resources. Resource sharing continues as a strategic service for OCLC. In January 2017, OCLC acquired Relais International and launched Tipasa, a new interlibrary loan management system. Built on the WorldShare platform, Tipasa automates the interlibrary loan office of a library and is interoperable with WorldShare Interlibrary Loan and other services. Tipasa is positioned as a forward path for the Windows-based ILLiad software developed by Atlas Systems, but it is sold and supported by OCLC. Throughout 2016, OCLC made major investments to upgrade the technology infrastructure that underlies its cloud-based services. This new infrastructure adds significant capacity for expansion, strengthens security, and improves disaster recovery. In its annual report, OCLC reported revenues of $203.4 million, a slight increase from the previous year. SirsiDynix continues to support a large number of academic libraries. Twenty-eight of its 142 contracts for Symphony in 2016 were by academics (615 of 2,573 total installations). Recent developments important for academic libraries include the release of the BLUEcloud eRM, based on the open source CORAL software. Disrupting Ex Libris’s sweep of academic consortia seeking shared automation infrastructure, Canterbury Christ Church University, Cranfield University, the University of Greenwich, and the University of Kent, all in the UK, selected BLUEcloud Campus. Other academic institutions selecting BLUEcloud Campus in 2016 included Henan University in China and the National University of San Marcos in Peru. Innovative Interfaces remains a strong competitor in the academic library sector. Of the 82 new contracts signed for Sierra, 53 were by academic libraries; academics represent 391 of 665 total installations. Of the 506 remaining Millennium sites, 346 are academic libraries. As one of Sierra’s largest projects in recent years, the Florida Academic Library Services Cooperative selected the platform for its 40 state universities and community colleges, including 156 campus libraries. Other developments included the release of a new version of Knowledge Base that supports electronic resource management, linking, and discovery. Public libraries rely on technology that can support efficient and flexible circulation of physical collections and can facilitate ever-expanding interest by their communities in borrowing ebooks, audio books, and other digital content. These libraries require technology products and services that strengthen the engagement of their clientele with collections, programs, and services. It is essential for public-facing services to present contemporary interfaces with intuitive design and with built-in support for mobile devices. The ILS continues to reign supreme in the public library sector. Almost all of the major ILS products are evolving from client-server to web-based architectures. Axiell’s launch of Quria as a library services platform for public libraries will be an important project to monitor, but it has yet to have an impact on public libraries in North America. The number of public libraries operating legacy systems with short-term replacement agendas, which fueled migrations in previous years, has dwindled, leading to sluggish sales in 2016. In the small public library arena, Biblionix has capitalized on its modern architecture and sleek functionality to attract impressive numbers of new customers. But for larger public libraries, lateral moves among currently supported ILS products rarely warrant the expense and disruption involved. Many different companies offer technology products to public libraries. More than half of SirsiDynix customers fall within the public library sector, though the company continues to support and attract clients from academic, special, and school libraries. Polaris, now part of Innovative’s portfolio of products, is used almost exclusively by public libraries. The customer base of Sierra is divided across library types, with public libraries representing well over half. Another set of companies specializes in public library technologies, including Auto-Graphics, BiblioCommons, Biblionix, InfoVision, and TLC, as well as Axiell, Baratz, Capita, and Infor, which operate mostly outside the US. Most public libraries rely on the online catalog or discovery services provided by their ILS vendor. Some vendors offer an optional discovery interface with relevancy-based search, faceted navigation, and other features beyond their standard online catalogs. SirsiDynix Enterprise can be used with Horizon or Symphony, and Innovative’s Encore can be implemented with Sierra or Millennium. Other vendors, such as TLC and Auto-Graphics, have revamped the online catalogs bundled with their ILS. Public libraries are not always content with the patron-facing interface bundled with their ILS, sparking some to use customized open source interfaces. The Marmot Library Network in Grand Junction, Colorado, has developed a discovery environment based on VuFind, branded as Pika, which has been implemented by its network and beyond. Notably, the Nashville (Tenn.) Public Library has adopted Pika, and it will be used with its recently selected CARL•X ILS to support the public school system. BiblioCommons has successfully displaced online catalogs from ILS vendors, attracting some of the most prestigious municipal libraries. Polaris, now part of Innovative Interfaces, continues to be well received by municipal libraries and consortia. In February 2017, Chicago Public Library opted to replace its CARL•X ILS with Polaris. Polaris 5.2, which was released in December 2016, includes new discovery features, such as a facet for immediately available materials and new acquisitions features for consortia. Innovative reported 16 new contracts representing 201 facilities for Polaris, increasing its total installations to 501. Of the 82 contracts made for Sierra, 19 were by US public libraries. SirsiDynix Symphony had a strong sales year in the public library sector. Of its 142 total sales, 33 went to public libraries. Similarly, of its 2,573 cumulative installations, 1,159 went to public libraries. BiblioCommons, which specializes in patron-facing technologies, continues advancing its BiblioCore socially oriented discovery interface and its BiblioWeb public library portal. Six new libraries selected BiblioCore, and another five implemented BiblioWeb to power their websites. Developments made this year include full responsiveness to mobile devices across all aspects of its product lines, improvements to patron accounts, support for lists up to 100 items, reorganization of profile pages to include activity and community feeds, and the ability to link accounts when a patron is associated with multiple library systems. BiblioCommons recently released BiblioCloudRecords, a bibliographic service available to libraries using BiblioCore to enable discovery of ebook collections without the need to load records into their ILS, simplifying library processing and enabling more immediate access for patrons. TLC, a midsized company, offers a diverse assortment of technology products and bibliographic services. It offers CARL•X to support large municipal libraries and Library•Solution for smaller and midsized public libraries. Beyond the ILS front, it offers eBiblioFile, which provides MARC records for ebook collections, and RDA Express, which assists libraries in transforming their records to adhere to RDA cataloging rules. The ITS•MARC database provides MARC records for copy cataloging to subscribers. CARL•X was selected to support the Limitless Libraries partnership between Nashville Public Library and Metro Nashville Public Schools. The public schools in Muncie, Indiana, subsequently joined the Muncie Public Library in a similar arrangement with Library•Solution. The large public library systems in Broward and Brevard counties in Florida both extended their CARL•X contracts for another three years. In a modest year for new sales, 12 new libraries selected Library•Solution, expanding its installations to 745. The new sales of CARL•X to the public and school libraries in Nashville bring its installations to 14, encompassing more than 400 libraries. TLC also provides social media management technologies, as the exclusive distributor of SocialFlow to libraries. Organizations such as the BBC, the Associated Press, and Condé Nast have adopted this service. TLC recently won certification from the General Services Administration enabling procurement by federal agencies. On the product development front, TLC released CARL•Connect Discovery version 3.2, which has mobile-oriented personalization features, including ratings for materials, cleaner display formats, and opt-in notifications. TLC made management changes. It promoted John Burns to vice president of sales, named Sherry Banks its director of operations at its Inwood, West Virginia, headquarters, and promoted Rich Jacobson to chief operating officer of Inwood operations. Annette Harwood Murphy, who cofounded the company in 1974, continues to guide the company as president and CEO. Auto-Graphics, with a business history spanning 67 years, specializes in library automation and resource sharing products primarily for public libraries. Its VERSO ILS has been implemented mostly by small to midsized public libraries. Its resource sharing products SEARCHit and SHAREit are designed to support consortia and statewide interlibrary loan programs. In 2016, the state libraries in Indiana and South Dakota selected SHAREit for their respective statewide interlibrary loan services. In March 2017, the Access PA consortium in Pennsylvania reported its fulfillment rates increased 30% following the implementation of SHAREit. Biblionix marked the 10th anniversary of its web-based Apollo ILS for small to midsized public libraries. As a small company with a growing customer base, Biblionix leverages the multitenant design of Apollo to deploy the product in libraries with only an incremental allocation of resources. In 2016, 65 additional libraries selected Apollo, increasing its total installations to 610. Libraries adopting Apollo migrated from diverse incumbent products, including open source as well as proprietary systems. InfoVision Software, a small company with 10 employees, offers the Evolve ILS, which is used primarily by public libraries. In 2016, four libraries with a total of 23 branches selected Evolve, increasing its total installations to 133. Recent improvements to Evolve include a new release of its online catalog that fully incorporates a responsive design to support mobile devices and enhancements to its search functions. K–12 schools have distinct technology needs. Library automation systems are almost always deployed through district-wide or even multidistrict implementations. The number of school libraries far exceeds those in other sectors, but the costs per library are quite low. Many districts have cut library programs, which obviously impacts the school library technology marketplace. Additionally, the automation and discovery products for schools must be designed to accommodate grade, reading level, age-appropriate material designations, classroom checkouts, and integration with district office business systems for student records. These systems also benefit from the integration with e-commerce platforms for the acquisition of print and electronic materials. Discovery environments for students must be carefully constructed to provide access to electronic materials selected by the library, precluding results from inappropriate sources. Follett has continued its lead among libraries in K–12 schools. With offerings that extend beyond automation software for the library, Follett exploits business opportunities in the broader school district environment. The company also distributes print and electronic content for schools, has created an educational digital learning platform, and offers a student information system. Nearly 5,200 new school libraries selected its Destiny Library Manager (an ILS designed specifically for K–12 schools and districts) in 2016, increasing its total deployment to 68,515. Destiny implementations are almost five times greater than its nearest competitor. Destiny version 14.0, launched in August 2016, brings a reworked interface and many new capabilities, such as support for the OneRoster specification for importing student and class schedule data, single sign-on with other district services and Baker & Taylor Axis 360 content resources, and integration with a registry of open educational resources. Follett rebranded its student-facing products under the name Destiny Discovery, including Follett Shelf, Universal Search, and BryteWave. Follett’s Aspen Student Information System is now implemented in more than 180 school districts. Consistent with the move by many school libraries toward classifying resources by genre instead of using Dewey, Follett launched a new set of services and developed educational resources to assist with this transition. Follett also began a new set of “makerspace bundles” for libraries via its Titlewave e-commerce platform. These bundles help libraries create their own makerspaces with robotic kits, books, and other materials. COMPanion offers the Alexandria ILS, which is used primarily by K–12 school libraries. Released in 1990, Alexandria has a long history of development, with version 7 completed in 2016. COMPanion offers hosting for Alexandria in addition to software for installation on local servers. The company reports that just under 14,000 libraries currently use Alexandria. Book Systems develops and supports the Atriuum ILS and Booktracks for management of textbooks and other assets. Atriuum has been adopted by schools and small public and special libraries. Of the 259 facilities implementing Atriuum this year, 180 were K–12 schools and 35 were public libraries. Installations of Atriuum now total 3,673. Consistent with industry trends, Book Systems emphasizes its hosted services, both in new sales and in converting existing implementations. Atriuum version 11.0, released this year, has an improved KidZviZ catalog interface, which will help users promote programs and events to library patrons. Book Systems added support for Common Sense Categories for libraries interested in refining their collections. Mandarin Library Automation’s latest product, Mandarin M5, has been implemented primarily by K–12 school libraries but also finds use in small public and academic libraries. Sixteen new libraries purchased this product in 2016, increasing its total installations to 729 libraries. Another 45 libraries subscribed to the Mandarin M5 hosted service, which now serves 801 libraries. Developments produced in 2016 include a completely redesigned Union Catalog and interlibrary library loan module. The OPALS open source ILS was created by Media Flex and has been implemented by hundreds of school libraries, as well as church, synagogue, and other special libraries. OPALS is especially popular in its home state of New York, where many BOCES (Boards Of Cooperative Educational Services) locations provide front-line implementation and support services. Media Flex did not provide detailed sales and implementation statistics for 2016. Special libraries, including those in law firms, corporations, health care facilities, government agencies, and nongovernmental organizations, have technology needs distinct from other library sectors. Differences among these types of organizations can also be considerable. Even the concept of a library within these organizations is in flux, with many functioning more as global information centers without physical collections. CyberTools primarily creates technology products for special and academic libraries, especially those in the fields of health and law. The company reports that more than 400 libraries currently use its products, though it did not provide detailed sales and installation statistics. Recent development activity on the CyberTools Library Services Platform has emphasized a unified approach for electronic resource management. All installations of CyberTools are now delivered through its cloud hosting service. Keystone Systems has developed KLAS to support libraries that offer services to persons with visual disabilities. These libraries require systems to be fully compliant with ADA standards, and rely on functionality for the fulfillment of requests made by mail as well as in person. Recently, Keystone completed developments to integrate KLAS with the PIMMS (Patron Information and Machine Management System) project of the Library of Congress. This enables customers with talking books to synchronize data with libraries that participate in the National Library Service for the Blind and Physically Handicapped. In its highly specialized niche with limited sales opportunities, Keystone made one new sale, increasing the implementations of KLAS to 113. Soutron Global offers a growing portfolio of products to legal, corporate, and other special libraries. In 2016, the company saw 39 new sales of its Soutron ILS, bringing its total number of installations to 172. The company recently began offering the Soutron Archive solution, which saw 14 sales in 2016. On the development front, Soutron is working to renew the internal technology used within its products, moving away from the Microsoft.Net platform to new web-oriented technologies. Work is under way to rebuild acquisitions and serials functionality. This work represents an initial phase to create an entirely new codebase for the product. Lucidea, which has consolidated many of the companies active in this sector, including SydneyPLUS Library Systems, Inmagic, and Cuadra Associates, did not respond to this year’s questionnaire. The library technology industry also includes dozens, if not hundreds, of smaller companies not active in the United States. Although this report cannot include all of these international companies, a few warrant mention. Axiell, though its library products are not marketed in North America, ranks as one of the larger companies internationally. Beginning in the mid-2000s, Axiell acquired many of the library automation companies in Scandinavia and the United Kingdom. In October 2016, Axiell continued its expansion with the purchase of BiBer, which provides its BIBDIA to 160 libraries in Germany and Switzerland. In addition to its public library business, Axiell also operates business units for archives and museums, while another business unit focuses on ebook and other digital content for libraries in Scandinavia. In 2016, Axiell’s BOOK-IT ILS, used primarily in Sweden, saw new sales to 119 libraries, a dramatic spike from the five reported the previous year. Sales of other products have slowed as Axiell works toward channeling libraries using its multiple ILS products in each country to a smaller set of strategic products. This pattern of product consolidation seems consistent with other consolidated companies, though for Axiell it comes a decade after the mergers that formed the company. In May 2016, Axiell launched the development of Quria, a new library services platform for public libraries. 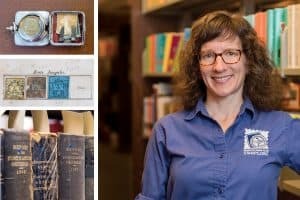 Before Quria, public libraries relied on well-established integrated library systems, which have struggled to incorporate web interfaces and functionality to support new digital content and services. The initial wave of web-native library services platforms, such as Alma and WorldShare Management Services, are more oriented to academic and research libraries. Quria breaks new ground for public libraries. Baratz, a Madrid-based library technology company that serves public libraries throughout Spain, develops and supports AbsysN.net. The company made 25 new sales in 2016, reaching a total of 3,030 installations. Recent developments include integration with EBSCO Discovery Service and work toward a new platform for the lending of ebooks and other digital content. Baratz is also working to enhance the search capabilities of Absys.Net with a new SOLR-powered search interface called Rebiun. Prima created the SophiA ILS. The Brazilian company was awarded 42 new contracts for SophiA, representing 92 facilities. This increased its installations to 623. Philos, which is used primarily by school libraries, was selected by 58 organizations representing 214 individual libraries. The churn of migrations, especially among academic libraries, is likely to accelerate over the next three years as legacy systems become less tenable and newer alternatives mature. Activity in the public library sector will continue to languish until stronger alternatives emerge. In both public and academic libraries, an increasing portion of system changes will be driven by large-scale collaborative projects at the regional, state, and national levels. Companies that have developed products with proven abilities to provide collaborative technical infrastructure will prosper. Despite the massive reshaping that has defined the industry in recent years, libraries can expect continued change, which may impact the technologies available to them. This disruption will likely include ownership changes as investors seek profitable exit paths. Other possibilities range from simple turnover of investors to additional horizontal or vertical consolidation. The lines of an industry composed of companies centered on traditional library automation products will continue to blur. 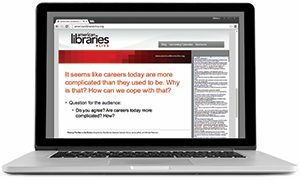 As industry transformation continues to unfold, libraries face challenges to react thoughtfully. As suppliers develop synergies among content and technology products, libraries need to ensure that the results align with their strategic interests. Libraries must hold technology providers to task. As companies consolidate, they must continue to allocate adequate resources for product development and support. Those that reduce choice but fail to deliver product innovation and quality support will inevitably be punished in the marketplace. Note: The Library Systems Report 2017 documents on­going investments of libraries in strategic technology products made in 2016. It covers organizations, both for-profit and nonprofit, offering strategic resource management products—especially integrated library systems and library services platforms—and comprehensive discovery products. The vendors included have responded to a survey requesting details about their organization, sales performance, and narrative explanations of accomplishments. Additional sources consulted include press releases, news articles, and other publicly available information. Most of the organizations provided lists of libraries represented in the statistics reported, allowing for more detailed analysis and validation. Product listings in vendor directory are not comprehensive. A vendor directory is available here.